Helping others succeed makes them support you and your products coming back to buy time after time, thumbs up for your amazing work. I can't seem to get the plugin to install onto my pc, I have used the addon before but it is not working now. now showing up in my effects panel after installation on my mac using 2014 after effect, goes through instillation but no where to be found. Please help.. So basicaly, I had to import it on a windows computer because the file was unidentified source, run it so it gives me the actual file (that is not what you download) and then import it through google drive. If there were such thing as awards given out each year for generosity for helping people with free amazing plugins to be creative, who otherwise would find it impossible to afford otherwise; then you and your organisation would win it consistently year after year! Thank you very much!! Great Job, thank you so much keep up the good work. you gotta autotrace your text layer by going to the Layer Tab and all the way below hit Auto Trace and adjust the values. Love your passion for what you do. Thanks for all the hard work and sharing you do to help others further their own passion. Please keep up the good work. Awesome plugin. Downloading it right away. Awesome gift from The Andrew Cramer himself, does it support After Effects CC 2017? hi, i want ask about the background when you change transfer or blending mode to screen and it appear from where you add it and how . Thats awesome! Thanks so mutch! muito bom, da pra fazer uns efeitos maravilhoso.Obrigado. Gracias por hacer mas facil nuestros trabajos. You have everything explained in the video, just fallow steps. Plzz, make 32 Bits version!! I need this plugin!!!!!!!!!!!!!!!!!!! Is it possible to explain how you make the saber effect stick to the 3D texte in Element 3D ? Thank you, guys! This is a very nice effect plug-in! How do I download this plugin? Dude, i have Ae Cs6 but when i go to render my clip with the saber it has an error and says something is wrong and to go to video copilot support but i can't fix it someone help please!?! Thank you! O god of visual effects! We are eternally grateful for these blessings that you bestow upon us mere mortals. May you continue being amazing and magnanimous! Is it at all possible to get a feature added to this plugin. 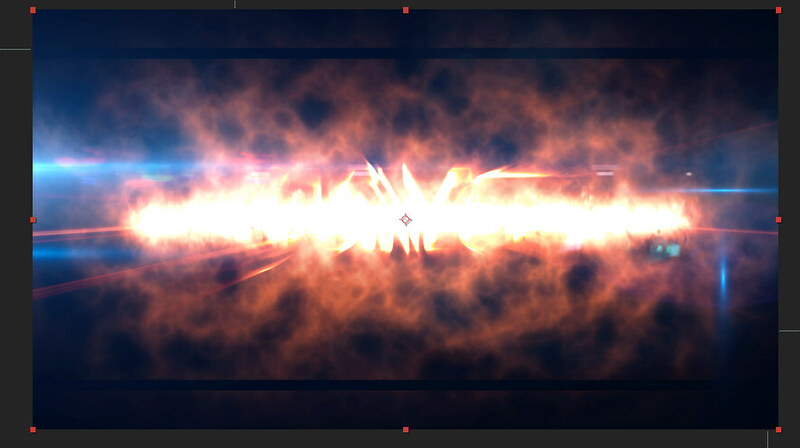 It would be very cool if it supported getting the opacity from masks in after effects. Do I need element 3d for this to work? No, its a stand alone plug in, enjoy! it keeps saying cant run on pc.. i use a windows 8 whats wrong? I WANT FOR AE CS4!!!! I WAANTTTTTT!!! Thanks a lot for the Plugin! Keep making videos, you're good. This plugin is just too awesome ~! DO NOT UPDATE TO 2017! I just installed the Creative Cloud 2017 update, and it seems Saber does not work. I tried reinstalling, since it said it was deleting the old files, but it still does not show up. Until this is confirmed and/or fixed, please DO NOT UPDATE TO 2017. Is it possible to create sharp ends of a line with this? i know you can change start and end softness to give a rounded effect but how could i go about making for example an arrow? Great plugin. Does anyone know of a quick method or tracing lines/paths with the glow? I want to replace the line art from my sketches with neon glows. Basically it's anime, but you can do it with whatever you want! Windows installer is corrupt. I can download the zip file with no problem but when i extract the zip i get "Cannot open file 'SaberInstaller_1.0.39_Win.Zip'. It does not appear to be a valid archive." Can anyone please help? I really would like to use this plug in on the project that i am working on. Thanks. i am also facing Same Problem.. This plugin rulezz! It is very easy to use, its very important. THX! Can anyone help me with an issue today? Its kinda urgent I fix this. I have a background and some ART letters on top of background, I need to have EACH art letter have fire around it. I Masked each art letter (not text) and then drag SABER effects on only one letter at a time, I select mask, and fire and it looks cool. but a BOUNDING box is around the letter and I can't get rid of it, the foreground has 9 letters and 9 bounding boxes that show (ugly) I only want the fire around the actual LETTER graphics not putting it in a box too. Can anyone tell me how to select an ART letter (or anything actually) that has been masked close around it, then have the fire on it and the background of that item be transparent - something is filling in the bounding box each time. I can send screen shot, this is really important for me to figure out, can you help? Hey! had you resolved the problem? Sir i have been using your plugins . they are awesome. but saber plugin when applied to a layer didn't make the background transparent. so when i put something behind it , it cut the graphics which is behind . is there any way to resolve this issue. please do help. thank you so much for the plugins and the tutorials. I think I have this same problem, did you ever figure out how to resolve it? See my posting today. Why can I not install this? I keep getting error code 40. Does anyone know a fix? I have a problem. After saber plug-in installation process AfterFX.exe does not shut down in the Window 7 Task Manager. I was going through the plugin . But its not downloading. any idea ? Yes it does. You need to manually place the saber plug-in file into the after effects 'effects' folder. i launched installer twice and it's working on two computers on windows 10. Where you can buy the blade of the prop they are using? I like the idea of the light being already present so you don't have to add it in. Oh Andrew... 10 years and counting... :) Cheers!! Is it possible to track the smoke to background? I have Element 3D 1.6, but still havent upgraded to 2.2 yet... will this saber plug-in work on it? or only I upgrade? legend as always , total legend. I really like this affect. Hi! I need this plug-in for 32bit please! I DONT KNOW WHY SOMEONE STILL ASK FOR 32BITS...WHY DONT UPDATE YOUR AE OR YOUR COMPUTER? Thank you so much for this awesome plugin!!!!! I am so happy to find this free plugins today. Thanks Sir! I don't really understand why this won't download for me. Running AE 2015 on a $5k pc and it's coming up as a threat/virus through Norton. Makes me hesitant to drop cash for future purchases with even a free download giving issues. Hey can you provide the project file used in this tutorial? what is the best way in using the Saber? I can not pass by without leaving a comment! Huge thanks to the author for such a generous gift! Everything works, the plugin installed without problems on the After Effects2015. I'm so excited! Does anybody know how to get the energy part of the saber (the light), onto a transparent background to use for composite images? I can only seem to have it on black background, probably easy but I always choose the hardest way first lol, cheers guys. Just what I'm trying to figure out, please let me know if you find a way. And also please leave me you're mail so I can contact you too if I find a way. Hi, i have After Effects cs4 and x32 or x86 sistem, can the plugin update to 32 and 64 bits? thanks, exelent plugin ! I am trying to get the glow to be black, to create a sort of smokey effect with the Saber plugin. However it just turns white. I correct the problem with Color Correction->Levels, but I was wondering if it's just that the properties of a glow simply cannot exist as black? The plugin is great otherwise, thank you. Hello, I have a problem with the installer. When I'm installing it, it crashes. Plz fix it. Dude you're giving this away for FREE? Truly a god among men. Absolutely love the ease of iterating looks with this. Spent a lazy Saturday learning to use it for different effects and came out with this hot pink mess. Really awesome plugin!! BUT I'm having some problems with it. Many thanks for this free plugin! hEy guys i have a quiestion maybe you can figure it out. how can i track the starting point and end point of the saber. thanks! Many thanks for this free plugin! Happy 10th anniversary and we look forward to subscribing to your awesome talent that you share with us! It means a great deal to us aspirants to one day become your level. More power to you and the whole VC team! For me works well ;). You must select "Custom" in installation and find folder with After Effects plugins. In installation select "Custom" and find folder with After Effects plugins. Then install it. Dude, Andrew and team, quality plugin! Thank you AGAIN for another Great free product. You really know how to make customer base loyal Video Copilot users!! Super Satisfied! Forget my last post I sorted by navigating to the plugin folder via the "custom" option in the wizard. Thank you so much! That was a great plug-in! ANDREW KRAMER thanks for everything, Video copilot is changing my learning for the better. Even still learning how to use After Effects CC I think Video Copilot indispensable in any job. One question I have is what are the minimum system requirements for this plug in. Don't want to download and feel dejected, instead of excited. I used it for an animated logo reveal. Works super on my mac. Thanks a lot Andrew. SaberInstaller has stopped working, cant get it to work? Run it as an admin, that's how I got it to work. This is a great idea for a plugin but is almost 100% unstable. On a brand new top spec 5k iMac its crashing After Effects and just closing it without reason or warning. What you gave us is much better than candies!! Thank you!! You are the man! Hi all, let us assume one shot a live action footage plate in their garden, where the scene is the camera looking straight ahead at a tree for example and then the camera operator walks from left to right with the camera still looking ahead. That plate is then brought into AE and the 2D tracker is applied. What if one then creates a solid circle shape in AE as shown by 'A' in the picture below. The question is, as the camera moves from left to right, would that solid cicle shape gradually change from a full circle to an elliptical type shape as shown in 'B'? I ask because if one were to place a Hula hoop (which is circular as we know) on a 4 feet stand and stuck the stand on the ground, if one were to move left or right while looking at the hoop, our vision combined with optical physics changes or bends the shape of the full circle and then transforms the hoop into more of an ellipse/oval. I just wanted to know if AE will treat the digital 2D circle shape in the same way when footage is brought into AE and 2D camera tracked. Did they use your saber plugin for this?! Anyway its a cool video. I get Error Code 40 when trying to install it; any tips? I'need this plugin for computer's of 32 bits, you can do this please, i'need much this plugin. Amazing effect but can you please create an alpha channel for it. Without alpha we cannot export transparent renders. PLEASE add an alpha channel to this. How about pre-compose the layer and then make blending mode to "screen"? FUNCiONA NO CS4 32 BiTS? No 32 bit version? Can someone please tell me where's the 32 bit version? Wow this would be great to use but like a few others on older operating systems, its doesn't seem to open on Mac 10.7.5 Any other way to install? Hey there. I'm working with Mousetrappe on a high profile project that uses Saber. We have found that rendering in After Effects 2015.2 via Deadline 7.2 on Windows 7, Saber causes the render task to hang when completed and never progress to the next batch of frames. Is anyone else seeing this? When we run the job on render nodes with Windows 10 it seems to work fine. Hi could you please add a feature to give the core a center size? It has start and end size but when I put both to zero the saber disappears. It would be really good for planets, I've been using saber to make some great looking planets but to feather off the atmosphere on the dark side I've been using a linear wipe. It does the trick but it looks way better fading the edges with a 0 start and end size. For the moment I've been working around it by using two saber layers. One going from 0 to 25% offset with 0% start size and the other 25% to 50% offset and 0% end size, it looks better than the linear wipe but has a weird staggered blending of the two glows in the center. I think a center width property (which should probably be an optional setting) would fix that because there would only be one glow spanning the width of the saber. If you could please add that to the next version of saber that would be amazing :) Love you guys!!! Is there a way to simply freeze the effect for bullet time? Wait, you worked on the titles for The Force Awakens? Does that include the crawl? Because the timing was a little off on the crawl. "Episode VII" appeared about half a second too soon. There's a particular note that it should appear on. Also, there should have been no CAPITALISED words (never mind more than one) as it's an odd-numbered film and only the even-numbered films were supposed to have them, though I'm guessing that was a creative decision higher up the food chain. Great plug-in! It's very much a huge game changer for all of us in VFX. I noticed that it can primarily take advantage of an AfterEffects layer's alpha channel (i.e., a text layer) or an applied path shape or mask. Will there ever be a version of this plug-in which can use a luma matte layer being applied to the solid layer that the plug-in has been applied towards? For example, the luma mattes that can come out of C4D in the form of object buffer .MOV files? Great plugin. I've done an opening title in a style of a latino soap opera. Check it out! Thanks Videocopilot this Plugin I've been waiting for this a long time ago, because before to me it was exausting make a light saber on AE! Thank much, and sorry for some mistakes on grammar but English, isn't my native language is Portuguese. 14:31 I didn't get that how to make it? Is there any plan of adding mask opacity support so the sabers will disappear when the mask disappears? No freaking way... THIS IS AMAZING! thank you so much!!!!! Thank you so much! First for the wonderful Lightsaber effect, and also for all the wonderful tutorials and products. You have been an inspiration to me as well as a mentor. Hi Mahesh, I couldn't see a version for CS6 when I downloaded. Only CS2014 & CS2015. I got a question about optimum specs for a laptop which I can use for Adobe Aftereffect CC version, especially with : 1)Machine memory 2)VIDEO card memory 3)Processor speed? Amazing! Thank you so much Andrew! After effects crash when I apply Saber Plugin to a text... HELP PLEASE!!!! Don't apply it directly to the text layer. Apply it to a solid, and in the option you select Core Type > Text layer" then select the layer in the drop-down menu just below. Could you tell us how you did the little smoke around the title in the Saber trailer? This is awesome! Just what I was looking for! Love the plug-in and your tutorials, but I'm having a strange issue. After I export my movie, the section containing any "Saber" effects renders out as a solid white screen. After the section passes by, the movie resumes as normal. Imagine the timeline as: 1-7 seconds in (looks great), 8-12 seconds in with saber effects (blank screen), 13-20 seconds (looks great again). Any idea on why plugin is rendering out funky? I can't seem to find any answers anywhere. Thanks. Note: Using a Windows computer with After Effects CC 2015 if that makes a difference. Update: I rebooted the machine entirely and suddenly everything is hunky-dory. Feel free to disregard my post. Amazing plugin! Is there a way to get the effect similar to :25 with a ring of fire but have it rotated laying on a ground plane so that the flames are rising up from the ground plane? Amazing! This Plug-In can use anywhere freely? Even a commercial use ? The trailer gave me goose bumps ALL OVER my body. This is absolutely incredible! You and the team are beyond generous! Thank you so much!! I see limitless possibilities for this amazing FREE plugin. Groovy two shoes! hi Andrew why cant render Alpha? any way to get render Alpha? Thank you very much Andrew for all the tutorials and freebies you have been giving away for the last 10 years! You are amazing person and I don't even know how to express my appreciation. Hey Andrew NEED your help. First of all HUGE FAN. Im having a small issue that I cant figure out.I have been unable to apple a mask to the saber layers. What am I doing wrong? PLEASE ADVISE!!! An excellent plugin for free? many thanks andrew and the videocopilot team. appreciate your hard work. Thanks Andrew ! Still a Great tutorial ! Ooops, posted the same one twice. So, I'm the guy who spent HOURS creating a beam for the HSN's Batman V Superman spoof when lo and behold VCP drops SABER! I was able to take my 20 something layers and reduce them to just a few. Even used it to make molten metal edges. Wow, free plugin ? Are you that awesome ? Of course you are, your personality and kindness knows no boundries...although all work should be payd and rewarded in my opinion. I need Saber Plugin for 32 bit . I want to find it, please! It is one of your great plugins! Thanks for your excellent plugins dear Andrew. You are truly an inspiration. I hope you have many more years of success as you deserve it. Okay, I've used the installer, and I've tried installing the plugin many times, but it doesn't work, it just won't appear in after effects. It's in my \Support Files\Plug-ins but it doesn't work, any help? Hola, no he podido instalarlo empieza y se interrumpe la instalación no sale error nada Me podrían decir mas en detalles tengo cc 2015.
thanks for your kindness it is grate. Is there anyway to make the distortion repeatable? 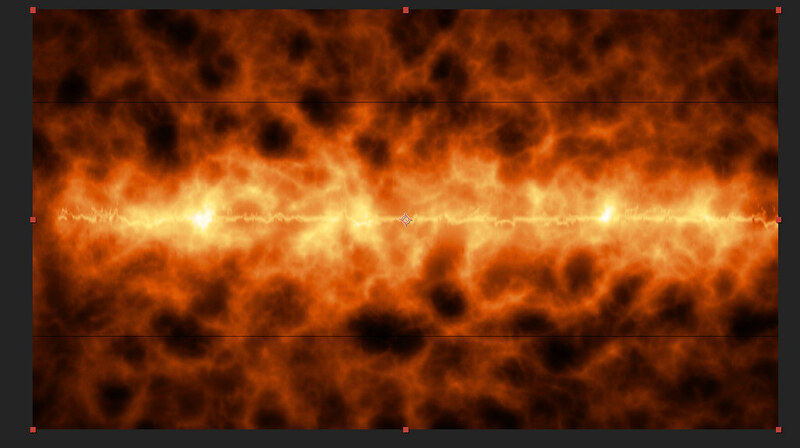 You must have used fractal noise which has evolutions but 3 days I've been working with it now and I'm not sure I found a way to make it loopable. Nice plugin btw, and it's free... takes it to another level. Help. after I have a saber coming moving out, when it rests, the core size is jumping for 1 frame, its like it is growing twice the size for a second. Is there any work around. I checked for random keyframes and there are no stragglers. Does anyone know where I can find those portals or energy sources that he has under the circle mask, the object comes into play around 6 minutes into the tutorial. Hi VCP. Could you please release manual install files, as the Mac installer doesn't run in 10.7.5. Many thanks! Just to tell you that your plugin is just freaking awsome ! Your work is hudge, and I will never can you enought thank you. Has anyone had this problem on a Mac? I'm having this problem too. I'm on a mac running OSX 10.7.5 and After Effects CS6. Happended to me, I just tick the "browse" thing, and select the folder (Programme Files/Adobe/Adobe After Effect/App/Ae/SupportFiles/Plung-ins(by the way I don't remember the correct path, but it's something like this. It's "Support Files" that's important). Then I created a new folder named "saber" and I clicked on it and selected "Select folder"(bot left). And it's worked ! Can someone tell me how can I add saber to a 3d model in element and have it stick to it? Hi Chris .. You can also take a look at this tutorial. It's another way to make the saber stick to a 3d model. Thanks so much guys..I'm going to check out the videos as soon as I get home! Goddamn it Andrew, you are a legend. Man you did it again. I would give my arm to have you teach me everything you know. Bless ya mate and keep em coming! When I export the saber, it doesn't render the glow :( In the previews it's perfect, and playback shows it as having the glow, but everytime I export, it's just the basic 2d shape of the saber - no deep glow or anything that was shown in the preview. Anyone have any ideas as to why it does this/what I need to do to fix it? It's urgent. IMPORTANT UPDATE/NOTICE: I was previewing the Saber effect on "Quarter" quality - everything looked fine, but when I changed it to "Full" quality in the preview, it lost it's glow and everything else. Just a note that only the "Full" quality on preview will give you an accurate representation of what the parameters will actually be; anything below will give a false impression of what it will export as. So i've fixed it now, just had to change the preview to Full and readjust the settings completely. video copilot how i install this ? When adding the Saber effect to a Text Layer, you need to add Saber to a Solid first and then select the Text layer from within the Saber UI panel, otherwise AE will crash. Yes same, I am with 750 ti with 4gb of ram and there is a lot of crashing! Without knowing what you are doing, but I can guess that you are trying to add the Saber effect directly to a Text Layer, you need to add it to a Layer and then select Text from the Saber UI Panel. I'm having similar issues but due to processor overload. It's CPU intensive, not GPU. Well thanks a lot for this awesome plug-in and its all for free. Thanks bro. Please help me, I am having black installation window. and its doing nothing. Run the exe file and installation black window pops up. I really love your tutorials. I have been following a lot of them and I only can say a big thank you for all the work that you share with us and congratulations for being a master of these techniques. Awesome Plugin... with one problem I can not seem to figure out. Is there a way to rotate a text layer in 3D space with this effect on it? It will not work for me at all. thank you guy. And admire your devotion. It is too good plug in. I think I Got a bug! Create ajustment layer with mask on it, and null to move ajustment layer, and effect dont moving by null but masks did. Thanks Andrew, this plug-in is AWESOME!! oh my god, among the all other plugins, this is the most AMAZING plugin! Keep up the good work Andrew! I'm waiting your other tutorials for using this plugin, it really helped me to create any "energy" things for sci-fi effects. First of all, thank you so much Andrew and all Video Copilot team for this amazing tools! So, making some tests, I integrated Saber with a 360° video experiment. Can you provide some additional details on your specific issue ? Thank you for replying, I managed to get it working..love and mad respect for u guys!! 100% FREE !! I do not believe !!! you are awesome !! Thanks for the great plug-in. 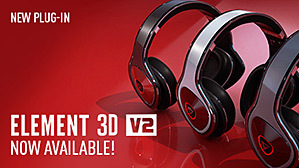 I also love your Elements 3D plug-in. I was working through your Replicator Tutorial, and wondered if you would ever consider doing a Tutorial on using Photoshop layers and the 3D function with the Replicator in Elements 3D. A lot of producers create opening titles using templates that are available or free download. If they could use Photoshop and Elements 3D with the Replicator, they would be creating new and unique titles. Just a suggestion. Again keep up the good work. I have a feeling that you will have a great impact on how Hollywood does special effects now, and more so in the future. I can not figure out how to add SABER to an Element 3D Beveled text. Can you please explain in detail. I am sure it is something simple and I will be embarrassed when you share the solution. Perhaps a sample AE project that can be downloaded. Thanks. You are the Master, I bow to your greatness. You are a god among men Andrew, thanks to you and the team ...again! Gracias Andrew, es excelente el plugin, encima gratis, sos un genio!. Me and my team creating a virtual reality content and we are trying to make something interesting with using video copilot plugins. As its experiment for me so i am looking for the trail version of 2.2 3D element plugins. are this plugins available for trail version? Another Saber Video. This time, actually putting it to use for work! Now THIS is original and really creative (most people seem to copy what they see AK doing). Well done. I second that. Nice work indeed! Do not think me critical of your work. I LOVE what you did here. One thing though... Perhaps instead of the spark where the laser hits the metal.... replace it with some optical flare effect, and maybe combine it with a little Trapcode Particular smoke to add more real feel to it? Andrew help please!! Is there any way to add saber to a pre comp of text? I need to make a lyric video for my church and don't want to overcome by multiple solids to attach text layers. I've tried and it has not worked for me. Did you try converting the text to a path / autotrace? You can then apply Saber right to the autotraced layer. I noticed this issue when streaming a walkthrough... you can't apply Saber to Text without using a solid as a proxy for the effect, but you can apply it directly to masks/shapes. Great plug in, too much fun. This is my second attempt at combining Video Copilot's Element 3D and Saber Plug-ins for After Effects. I used two OBJ sequences exported from DAZ Studio. Instead of rotoscoping the saber effect, I made a comp of the saber and mapped them to the blades in Element 3D. the benefit of this is that it shows up in the reflections. More experiments are needed, but it's a promising start. This is a mutation of the previous test. Since the mocap was for a sword and shield, I wanted to see what a light shield might look like. Is it just me or does this plugin rely on the CPU and not the GPU as typically expected? This is causing issues when rendering. Yes, this will hopefully get patched soon. I use CUDA for everything so my render times using Saber are pretty slow. Hey... you are just GREAT! Following you since always. Thanks and greetings from Italy! From Argentina ...Amazinng!!! I Love you Andrew!!! I mean Im not Gay... I mean Im Exited too!!! You Back!!! Hi guys, i am having trouble using saber with text! You need to keep adding the Saber effects to a solid layer - not the text layer itself. Then choose the specific text layer within the plugin. Thnkx alot but while doing this please help us with some other plugins like action essentioals for free please. Kills the Saber plugin Intercept? yeah... a reeeeally exciting plugin alright... you guys are the best!! This probably sounds really stupid but I can't figure out how to install the Plugin. Is there anything I need? I figured out my problem, I was installing it on the wrong hard drive. Does this work with CS4? Where is the f***ing Intercept? Andrew has a lot of things to do on his palte, he wants to make sure his short film with FREE BTS is perfect. I learn AE from your grate tutorials and i can do lot of AE works in your helps. thank u very very much for sharing! Useful tutorial. My jaw dropped open and my eyes went "blink blink" like a cartoon. This is a hands-down stunningly gorgeous plugin. Your tutorial opens the doors to so many possibilities- can't thank you enough! Thanks for this Andrew, is it truly amazing, and free! Couldn't ask for more. Man you are a legend and a mentor to all of us humble AF trainees. Keep it up bro!! Awesome new plug in! Having an issue getting the transparency to work??? I saw in the first part of your demo that you change the transfer mode to screen and at the point the transparency took into effect. I do the same and I do not get the effect. Im not using a mask layer but a text layer, not sure if that has play in that or not. Any suggestions? Found the answer, just found the setting in the effects controls, under render settings section/composite settings>drop down menu\transparent... Again, AWESOME PLUG IN and plus its FREE!!! Thank you Andrew, very usefull. Does anyone know how to integrate Element 3D and Sabre? How does one sync the Saber effect to the text-shaped mask at 16:33, more specifically, how is the mask applied and lined up with the 3D layer? Is this tracking, rotowork, or some other technique? I think we all owe you thanks Mr Kramer. Glad your tuts are still as funny engaging and awesome as ever. 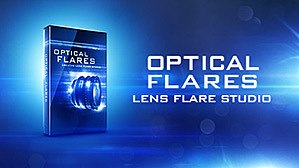 I am testing this new Plugin and try to determine how Andrew set up the Saber effect into the Element text (0:22 sec). It's crystal sharp in the example but when I try to overlay this Text layered Saber effect (made a Precomposed Layer of the text and put it on the exact location in the main comp) it makes this precomposed saber text unsharp/blurry. Even without DoF it's unsharp. Has anyone tested it and what might be the solution to create this effect? So, I'm having a small issue. I want the default saber line to just simply grow longer. When I animate the core end with an easy ease I get a flash as soon as it has reached the end keyframe. The line literally just gets brighter and longer for a second and then goes back to how it should be. Any solutions? There are only 2 keyframes so and I have tried this a few times so I know that there aren't any random hidden keyframes that would be doing this. This is obviously just a bug but want to know if anyone else is having this issue. Amazing plugin by the way thank you. We had just made the lightsaber effect with "just" the previous version of the lightsaber script from videocopliot - and then this plugin came out :-) - so then we had to quickly resign this plugin instead - and that was just so incredible much better. Thank you so much Andrew for creating this plugin. And making it FREE! You are awesome. Absolutely worth the wait. You sir, rock! If this, and all this training, is what you "give away", I canNOT wait to see what it is that you're selling here. Excellent plug-ing and great details tutorial! Thank you Andrew and your great team. I'm using it for a test logo, used solid and mask with ae camera. My problem is its not doing any crisp edge all are jagged. Could any one please advice me, Thank you all. Thank you! Great plugin. It also works great as Neon Tubing. Does this plug in work with Hitfilm 2 Ultimate? (Thanks to Clipreply) I managed to get the saber to reflect in realtime to the objects within Element 3D. This is a jaw-droppingly gorgeous plugin! The tutorial shows you techniques to make it even more amazing. Best thing I've seen in a while. Wow. Does this plug in only work in after affects? Anyone tried this in Premiere yet?